Leadership should be about trusting and empowering officers, a new chief believes. 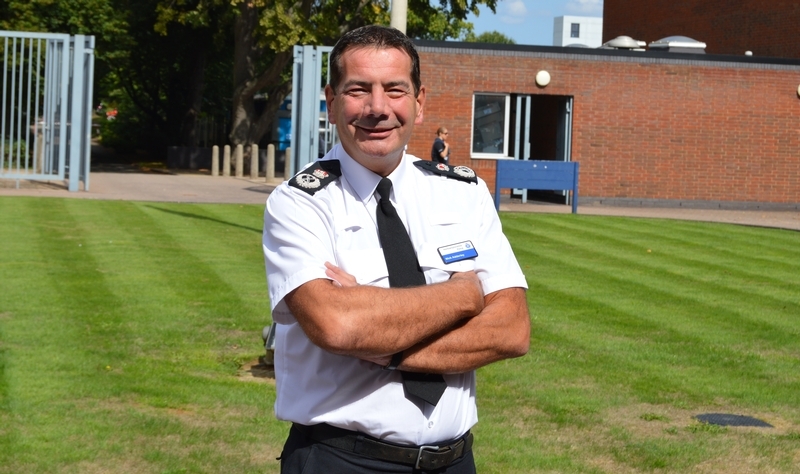 Northamptonshire Police Chief Constable Nick Adderley spoke to Police Oracle at the end of his third week in the role – having moved up from assistant chief in Staffordshire. The Royal Navy veteran, who served in the Falklands war, said: “I made the point when I applied for this job before I even entered the process I spoke to the PCC on the phone to make sure I was the kind of chief that he wanted. “I said to him you need to understand I don’t see myself as a typical chief constable in many ways and I think that goes back to my upbringing within the military, I can very quickly work out what the importance is building the relationships with the people that truly deliver the performance. Prolific on Twitter, the chief recently made headlines when he defended the rights of officers to take breaks in public. The benefits of this were seen as an armed response unit foiled an armed robbery in a coffee shop. “One thing I’ve been absolutely clear on is I won’t have anyone slagging off the force. Where we’ve done wrong or where we need to be held to account, absolutely. [But] you will find I’ll stick my head absolutely well above the parapet where that’s appropriate,” he said. CC Adderley said his approach also comes from the combined 11 years he spent at PC and sergeant rank and his interactions with supervisors. Among the new ideas he’s examining is the possibility of apprentice detectives. He said: “You hear a lot in the press about bringing retired detectives back into the force, but let’s think about apprentice detectives, let’s think about apprentices for some analytical work we want doing. The chief constable has asked staff to look at the concept but says the idea is at an early stage.